Married couples have a significantly lower risk of Alzheimer’s disease than single individuals. We didn’t see that finding coming. A research paper in the Journal of Neurology, Neurosurgery and Psychiatry reported that singles had a 42% higher risk of dementia than couples. Widowed had an average of 20% higher. Curiously, divorced individuals had the same risk as married. Andrew Sommerlad, MD of the University of London, along with fellow researchers Joshua Ruegger and Archana Singh-Manoux MD, speculate that the benefit comes from social contact, communication, looking-out for each other and more mental activity. (We’ve written before on the extreme detriment of loneliness on health in general and brain health in particular). We’re speculating that the punch line is to get married if you’re not…. We were recently explaining to someone that one of the reasons that biological medicines are so expensive is that the factory workers include post-docs. Someone asked us what a “post-doc” is. It’s someone who already has a PhD in, say, bio-chemistry or bio-medical engineering, and is doing even further studies. This little piece of background is a set up for recently reported medical news about a study led by, you got it, post-docs Dominik Moser and Gaille E. Doucet from the Mt. Sinai School of Medicine. Along with five more research team members, they showed that physical endurance is linked to better working memory. Working memory is crucial to learning, professional skills and performing complex tasks. For those of you who have been plugging away running, biking, swimming, boxing, at CrossFit, Zumba, power-walking, dancing or any of the hundreds of other aerobic activities, you aren’t just doing your heart and muscles good, you’re building working memory as well. Research details here. If you are considering buying any of our cool, brain-healthy products for Christmas – act now. We are down to a handful of shipping days for Christmas delivery. We’re tossing in some extras with every order while supplies last. Three gift ideas. Or, you can give them to yourself- you were good this year, right? 1. We have a super, lightweight, travel-friendly exercise kit so that you can build that working memory. Stronger muscles just a bonus. 2. Both our Brain Booster fragrance kit (featuring Peppermint) and our Energy Lift kit (featuring Cinnamon) will fill your home with holiday scents. 3. We just added a third fragrance: Rosemary Mint, in our Let’s Just Chill kit. Rosemary, a fragrant herb used for centuries, is associated with both memory and romance. Oh, and marriages. 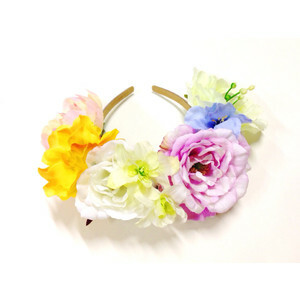 (Flower bridal headpiece from Polyvore).